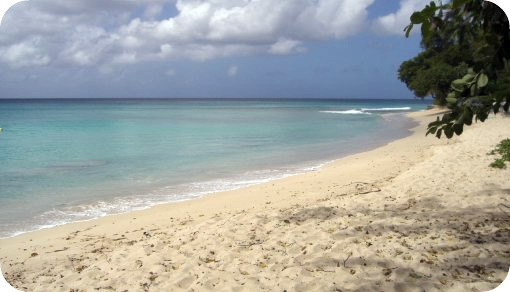 West Coast rentals, Gibbs beach area of Barbados vacation rental by owner. West Coast rentals are some of the most desired vacation rentals in Barbados. The trouble is that most West Coast Barbados holiday rentals are out of the average persons budget, especially if they're looking for a vacation rental on a Barbados beach such as the one pictured below. This picture shows Gibbs Beach as it looks on an average day, it has a fantastic white sand beach with the gentle Caribbean Sea lapping at the shore, and best of all it has very few tourists. 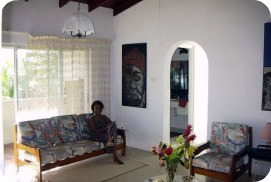 I have a two and three bedroom Barbados vacation apartment for rent in the beautiful Gibbs Beach area. The apartments pictured below are located about a ten minute walk away from this fantastic spot on Gibbs Beach, pictured above. 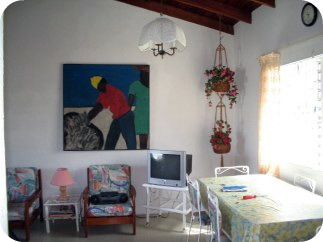 These Barbados holiday rentals are ideal for the family or the elderly. The three bedroom apartment is on the ground floor, the two bedroom apartment is on the second floor. Both vacation apartments are fully furnished and have all the necessary amenities for a carefree holiday in Barbados. 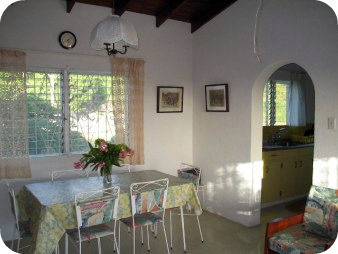 The kitchen is fully equipped with fridge, stove, blender, dishes, microwave and cutlery. The bedrooms all contain queen size beds, there are ceiling fans or floor fans if necessary. The two bedroom apartment has a balcony right off the living room that looks out towards the Caribbean Sea where you can watch the ships as they cruise towards the harbour, a lovely sight at night. 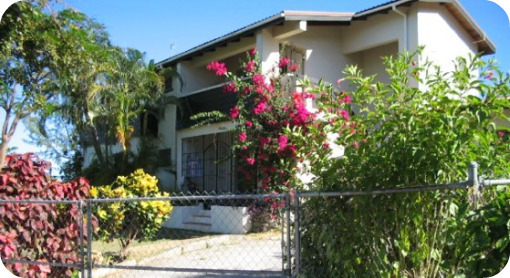 The three bedroom ground floor apartment has a terrace facing towards the Caribbean. 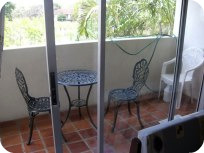 There is also a large terrace at the other end of the two bedroom apartment that looks out towards the Caribbean. The three bedroom apartment has a patio on the ground floor that is right off the living room and leads out to various kinds of fruit trees such as, golden apple, lime, coconut and banana trees. Questions to the owner "John"